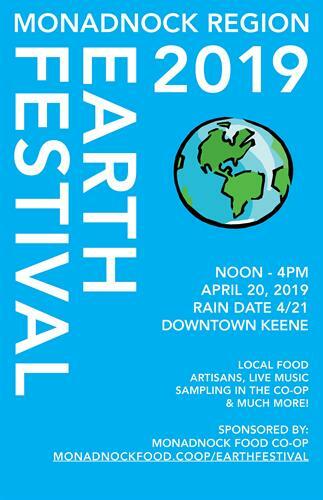 Monadnock Food Co-op invites you to this year’s Monadnock Region Earth Festival. This free public event takes place on Saturday, April 20, 2019, from 12 pm – 4 pm, with a rain date of Sunday, April 21 from 12 pm-4 pm. This year’s event will be much like last year, with vendors and organizations tabling from Railroad Square, along the bike path, back to the amphitheater and in the dirt lot next to the co-op as well as inside the co-op. The Monadnock Energy Hub will also have a selection of Electric Vehicles near the fairgrounds! Stay up to date on the vendors and exciting activities on our event page!